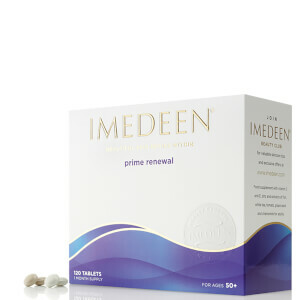 Imedeen Time Perfection (60 Tablets) anti-aging skincare formula helps fight visible signs of aging with an exclusive blend of proteins and polysaccharides, very similar to those found in your skin's dermal layers. LycoPhenceGS(r), an effective skin defence system, uses tomato fruit and grape seed extracts to protect and nourish the skin, while decreasing existing fine lines and wrinkles. 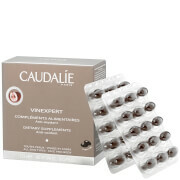 Skin retains moisture better, due to the protection provided by this great supplement. This supplement works to make skin all over your body the best it can be. IMEDEEN Time Perfection was voted the number one beauty supplement in the UK by Boots. Recommended daily use of two tablets. Take with a glass of water. 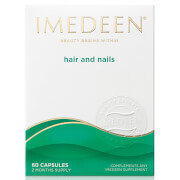 Save 33% on selected IMEDEEN. Discount has been applied to the RRP. Offer valid for a limited time only.